Does Your Baby Need Hypoallergenic Formula? Does Your Baby Need Allergy-Friendly Hypoallergenic Formula? Allergies are on the rise and for parents of formula-fed babies, it can be hard to know what formula is best for your little one. Luckily, there are more hypoallergenic options from leading formula companies than ever before, so you should be able to find an option that works for your family. Hypoallergenic formulas are occasionally recommended by pediatricians for babies who have a severe problem digesting cow's milk-based formula or soy formula. Hypoallergenic formula, also known as elemental formula, has been pre-digested to be broken down into smaller proteins. This process makes the formula less likely to cause allergic reactions since the baby's immune system won't launch an "attack" on those smaller proteins. What Babies Need Hypoallergenic Formula? The American Academy of Pediatricians explains that hypoallergenic formulas should only be used in infants with clear medical symptoms that would indicate the use of a special formula is necessary. First of all, because even some babies with sensitivities may not need a hypoallergenic formula unless those babies have a true allergy and also because the process of breaking down the protein for the hypoallergenic formula actually throws off the nutritional balance as compared to breastmilk and other infant formulas. And lastly, hypoallergenic formula is much more expensive, usually around three times the cost of regular formula. For those reasons, hypoallergenic formulas should only be used when a doctor recommends it in light of clear medical concerns. In some cases, if you have an older child with severe food allergies or a severe family history of food allergies, your child's pediatrician may recommend starting your baby on a hypoallergenic formula from the get-go. In general, however, most pediatricians recommend that infants be exclusively breastfed and only supplemented with hypoallergenic formula as necessary. Gerber Extensive HA Formula. This formula by Gerber is for babies who have a confirmed allergy to cow's milk protein. Their website will help you find it in stores and online. Enfamily ProAmino. According to the Enfamil website, this formula is for babies with severe cow's milk protein or multiple food protein allergies. This specialized formula can be found on the Enfamil website. Changes in stool. It's pretty common to see a change in the color, consistency, or frequency of a baby's poop when you change formulas and especially if your child had a lot of loose stools before, the new formula might help the bowel movements be more solid and consistent. However, any white, watery, red, or black stools need to be evaluated by a professional. A different smell. The processing that removes the proteins that can trigger allergic reactions also means the formula will smell and taste a little different. Gerber describes the formula as more "bitter," but also says that most babies don't even notice the difference since their taste buds are still developing. A more clear color. 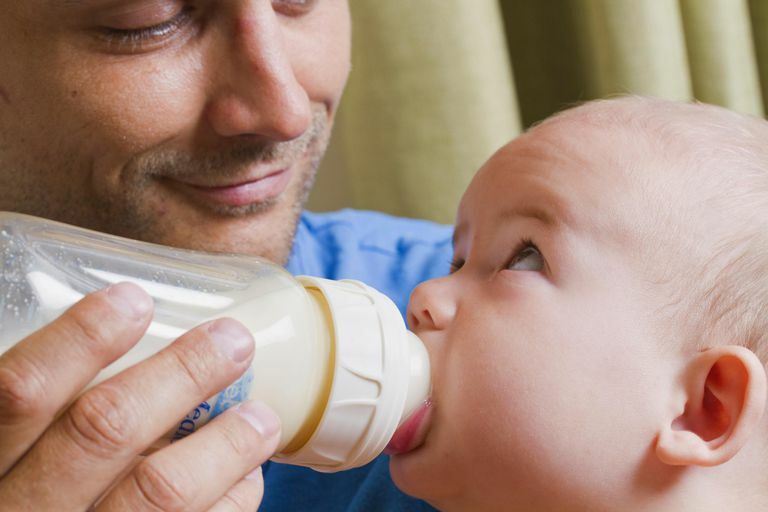 Without those heavy milk proteins, ​a hypoallergenic formula will also appear more clear in color than regular formula, but it still has the nutrition your baby needs just broken down a bit more. How Long Should Your Baby Use Preemie Formula? When Is It Safe to Give Your Baby Soy Milk? Are the Latest Baby Formula Trends Just Marketing Hype? Does Your Baby Need Vitamin Supplements After Being Breastfed? Is It Normal for Your Baby to Sneeze Often?